GMERF offers internship programs as part of our Advanced PG Diploma Courses in health care technology like Clinical Nutrition and Dietetics, Dialysis and Physician Assistant. The duration of these internships usually last for 6 months, stipend also may be offered. 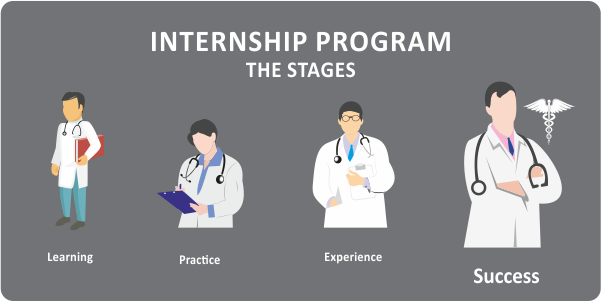 GMERF also offers internship programs in Molecular Diagnostics and Biomarkers for a duration of one month to graduate and postgraduate students of Life Sciences. A small bench-fees may be payable for these optional internships. Graduate and Post Graduate students in any life sciences field may apply for a research project training in Molecular Diagnostics for a duration of 3 months or more. A small bench fee is payable for the project trainer. Knowledge of nutrition for overall health and wellness as well as therapeutic nutrition is recognized as integral tools for the prevention and treatment of many diseases currently ailing the global population. The Advanced Post Graduate Diploma in Clinical Nutrition & Dietetics (PGDCDN) is a program which integrates courses on health, nutrition and disease. This program covers the core subjects in Nutrition & Dietetics such as Fundamentals of Nutrition/Sports Nutrition/Food Microbiology/Weight Management/Nutrition Support/Measuring Nutrition/Food Poisoning with a special emphasis on nutrition during special clinical situations like active disease, treatment and convalescence/rehabilitation etc. Students would be trained to use an evidence-based approach to transition patients from a state of disease back to health and well-being. Specifically, students are taught to identify imbalances which contribute to a disease state rather than diagnosing and treating individual symptoms. Our ultimate goal is to foster a future generation of clinical dieticians equipped to shift the current healthcare system from the current ‘treatment mode’ to one of ‘disease prevention and maintenance of optimal health’. Advanced PG Diploma in Clinical Nutrition & Dietetics is a two year program (four semesters) is specifically designed for those who want to be part of tertiary care/super specialty health care services, rehabilitation centres, wellness centres/clinics and specialty food manufacturing and marketing.